Catanese Group is excited to welcome three new members to our accounting firm. Jeremiah O’Neil, Joseph Ruparcic and Cody Aurandt have joined the firm as Staff Accountants. They will perform tax, accounting, and audit service engagements for the firm. 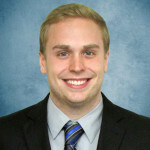 Mr. O’Neil has a Bachelor of Science in Business Administration Degree, Accounting from Bucknell University. He resides in Johnstown, PA.
Mr. Ruparcic and Mr. Aurandt are both recent graduates of the University of Pittsburgh at Johnstown. Each has a Bachelor of Arts in Accounintg. Mr. Ruparcic currently resides in Johnstown, PA and Mr. Aurandt resided in Hollsopple, PA.